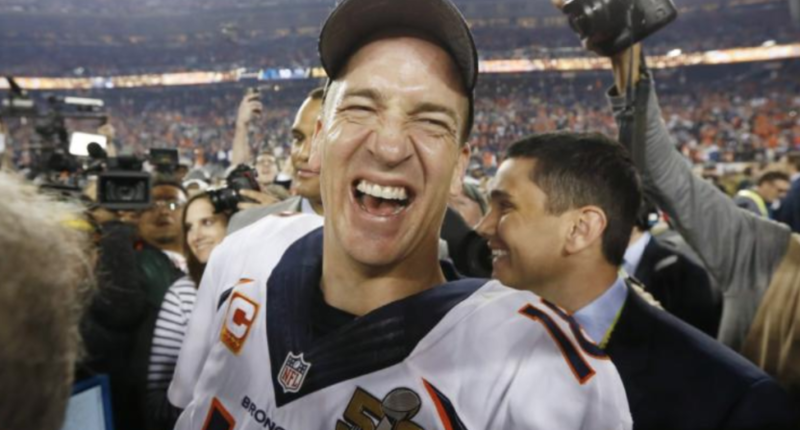 That salary could make Manning one of the highest-paid on-air employees in sports media. We have known for some time that ESPN and Fox are interested in bringing aboard Peyton Manning as an NFL game analyst for the 2018 season. A report from Sporting News’ Michael McCarthy on Wednesday indicates just how high that interest is. Per McCarthy, both ESPN and Fox are willing to offer Manning $10 million a year to call their high-profile packages. Such a contract would make the former quarterback one of the highest paid on-air employees at either network. The biggest knock on Manning would seem to be his lack of broadcasting experience. But given Tony Romo’s success on CBS last year, networks seem relatively unafraid to hire a rookie analyst. In fact, per McCarthy, ESPN and Fox view Manning as a more successful, more relatable version of Romo. Manning finds himself at a golden moment where the NFL’s TV partners need the ex-Broncos/Colts quarterback more than he needs them. The superlative performance of rookie CBS analyst Tony Romo has encouraged CBS’ competitors to swing for the fences on big talent hires, said a source. At ESPN, Manning would presumably call Monday Night Football, replacing Jon Gruden. Fox reportedly wants him in the booth for the network’s new Thursday Night Football package and in the studio during its playoff coverage. As our Matt Yoder wrote Wednesday, ESPN would seem like the ideal fit for Manning if he wants to commit fully to broadcasting, whereas Fox could make sense if he wants only one foot in the door. Part of the reason bidding for Manning has apparently gotten so frenzied is that the former quarterback has shown little actual interest in television. By all indications, Manning’s long-term goal is to work in football operations and/or own a team (with Broncos president John Elway as a model), and a gig in broadcasting wouldn’t particularly help him toward that future. Thus, the only way for ESPN to attract Manning might be to make him the highest-paid broadcaster in network history. Though we don’t know the salaries of all of ESPN’s top personalities, Jim Miller reported in 2015 that Gruden was the network’s top-salaried on-air employee at $6.5 million. A $10 million-a-year deal for Manning would best that figure by more than 50 percent.